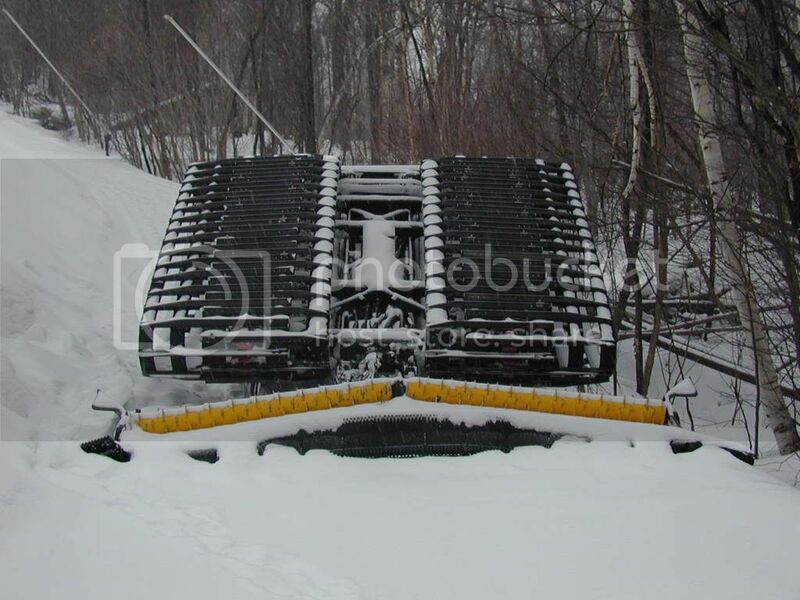 Slopegroomer.com • View topic - How about some carnage picks? Last edited by LBCAK on 12 Apr 2010, 15:37, edited 1 time in total. Re: How about some carnage picks? Carnage? The fun part was flipping it back over. 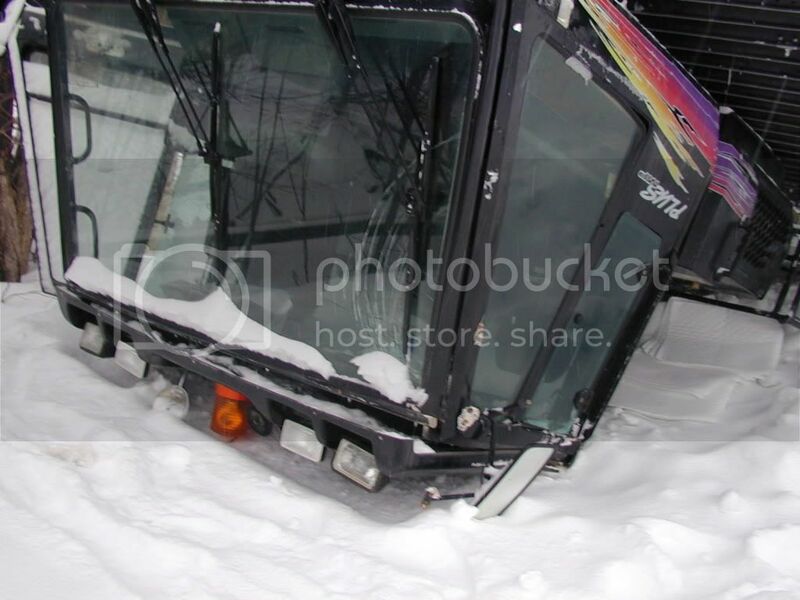 When we moved it about an inch and the windshield pop out and the cab collapsed. Operator escaped with a few minor bruises and a brown stain in his shorts. This is old, in happened in 2001 or 02. Fell off a terrain park feature. 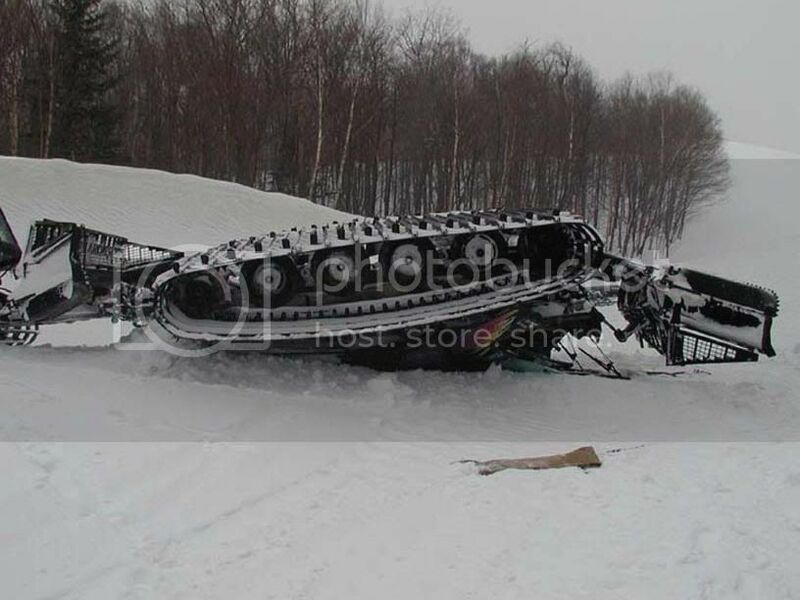 Trying to find the picture of a winch cat that pulled a tree down right into the cab, that one looked scary, heard the operator was not injured also. I think it’s on face book somewhere. Here are a few I've compiled. Most came from trakkemaskin.no, and probably a few from other various sources.